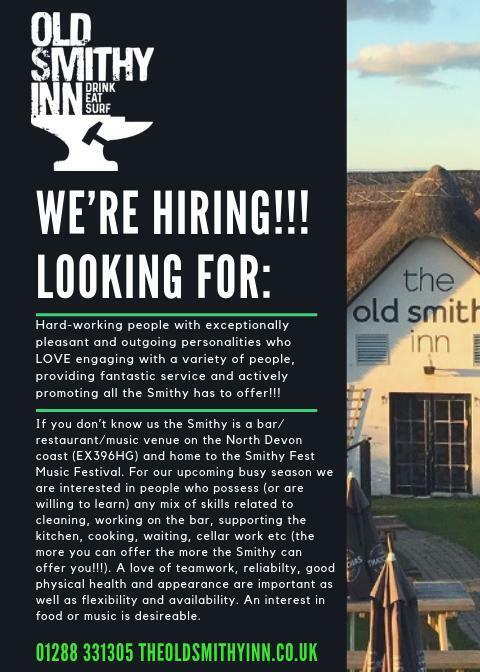 The Old Smithy is hiring! Call us on the number above for further information and to express your interest. The Old Smithy Inn is wheelchair accessible via the side gate, with a small distance of pebbles to be crossed to front door. The Old Smithy does not currently host a disabled loo, however it is only a small step down and up to our general loo facilities.